Do you ever wonder if and how you could call a halt to your performance review process? Do you think traditional processes are marred by the distribution curve (and forced rankings), huge time investments and low impact on performance improvements? Maybe you agree that your processes have their faults, but you think that it's not sensible to abolish performance appraisals altogether or replace them with coaching sessions. Keep reading... Let us be your guinea pig! Our organisation Atlassian has conducted an open review of our new performance review model for everyone to see. From speaking to HR executives, we've learned that many people face similar issues with their current process. Often they think their organisation's review and reward culture is too entrenched in their organisational processes, that it's hard just to change the performance review model without any evidence and alternatives. We hope that other growing, or even established companies can learn from our experimentation, challenges and results. 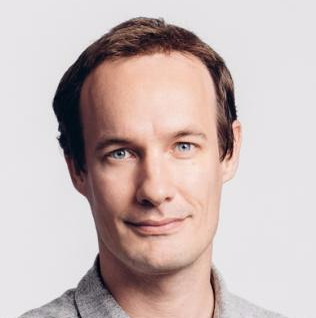 For years, Atlassian's performance review model was in line with 'HR Best Practice'. Twice a year, people would review themselves and their peers via 360-degree reviews. Managers would review their team members and determine their final performance rating on a simple 5-point scale that determined their bonus. I believe it's a similar model to that of many other tech companies like Google and Salesforce. So, what was the problem? In short, twice a year the model did exactly the opposite to what we wanted to accomplish. Instead of an inspiring discussion about how to enhance people's performance, the reviews caused disruptions, anxiety and de-motivated team members and managers. Also, even though our model was extremely lean and simple, the time investment was significant. If you ask your managers and staff to invest time and money in a process, it'd better be worth it. And in our opinion it wasn't - well, not in its traditional format. 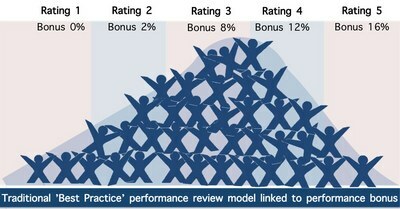 First, we analysed the traditional performance review model in detail. We asked what made people perform better and what parts of the reviews worked well. We talked at length with other tech companies about their experiences and asked if the negative aspects of reviews, mainly related to de-motivation and the high levels of anxiety, tend to disappear after a while (they don't). The triggers for our experiment was that we found nothing out there to copy (that would have been much better and easier). Sure, there are books and blogs dwelling on the negatives of performance reviews, but their solutions are too impractical to implement often ignoring the need for solid performance feedback. Also, there are systems that have a new approach to performance reviews, but no HR system supported our approach. We needed to start from scratch. We've replaced the traditional performance review structure with a more lightweight, continuous model. We incorporated the constructive aspects of reviews in the existing one-on-one meetings. Atlassian managers already have weekly one-on-ones with their team members. Now, every month, one of these meetings is dedicated to a discussion on how the person can enhance their own performance and play to their strengths. Removed the unconstructive focus on ratings and get rid of the distributed curve. All sections should receive equal attention. We think that the 360 review feedback can better be discussed in a separate conversation. Same goes for performance ratings, strengths, weaknesses and career development, etc. We split the sections into separate conversations with their own coaching topics. Every month we allocate one of our weekly 1:1s to a coaching topic. We created conversation guides to help everyone stay on topic, and to supply tips and tricks on how to facilitate the conversations. - No 'exact rating' We prefer people not to concentrate on the exact rating definitions, but rather on having a good and honest conversation on how they have gone in the past 6 months. However, there will be no rating on a numerical scale. Instead, during in the check-in the manager indicates roughly how often their report has demonstrated exceptional performance. - Two Axis In addition to an evaluation of performance/achievements, we've added the scale on 'how often you have stretched yourself'. Put simply, the reason for using both scales is to acknowledge both effort and results. Two people can both deliver similar results, yet one of them has solely focussed on their normal work responsibilities whilst the other person has really injected extra energy in improving things outside their normal job (e.g. themselves, their team, etc) which has made a real difference to Atlassian. Feedback from Atlassian managers was that they wanted to acknowledge this. - Focus on frequency of behaviours The scale from 'never to always' helped people focus the conversation on how to improve the frequency of certain behavious, rather then focussing on a number. Recently, I shared this idea with the cool team of Sonar6 who translated this in a blogpost in their usual colorful way. Both staffmember and manager will decide on the person's position on two scales. When the a certain position on the axis is chosen, the logical subsequent question is: "why didn't you position this person more to the left or right, higher or lower?" This approach also encourages a better coaching style review conversation. Lack of best practice: there was not literature or best practice out there (or we couldn't find it) Lots of books focus on the negatives of performance reviews but they offer solutions that are too much focussed on just coaching, in not enough on the alternatives to the actual performance conversation. They also didn't offer much guidance on how to structure the coaching conversations themselves. We ended up merging different ideas including suggestions from the HR industry, strengths based coaching, motivational theories, and different rating evaluation scales. Systems: To my knowledge, there is no HR system that offers an integrated approach including regular 1:1s, coaching 1:1s and performance review check-ins. There are the heavy and traditional performance review tools like Successfactors and SumTotal. Conversely, there are some cool continuous feedback tools like Rypple - who I understand are designing a more integrated solution for Facebook. We finally found an awesome start-up who has created a really smart solution - called Small-Improvements. Small Improvements features all sorts of goodies in a nice lightweight app, can facilitate our performance check-in process and capture continuous feedback/coaching. Coaching conversations: The managers (some very new to the role) had little to no experience in how to handle a coaching conversation. We ended up engaging an executive coach who trained our managers in how to have a good coaching 1:1s. Team sizes: One of the first problems we highlighted was when a small group of managers said they wouldn't have enough time to discuss these topics once a month. And that highlighted a larger problem. Some teams were plainly too large for one manager to handle. This meant that, whilst the team was productive and well oiled, some people rarely met with their direct manager to discuss non-operational topics. That was one of the reasons we decided to form smaller, more agile teams and introduce a group of new team leads. People love numbers. They are objective and easy to analyse. So, when we decided to take out performance ratings many people felt uneasy. Truth is that people generally understand that, if their performance is indicated to be closer to the bottom-left corner of our performance/stretch axis, they have to step it up. You don't need a rating or a number for that! Also, we noticed that salary reviews and talent management didn't need an exact performance rating - as a matter of fact, we've never had a direct relation between salary and people's ratings. Other factors such as market salary movements, internal and external salary benchmark data, years in the job and skill-set all help determine salary growth. Few organisations would calculate their salary reviews in a simple formula.